Winterizing a swimming pool in Western Washington is very different from other parts of the country. Due to our milder winters, we don’t have to take the extreme measures that pool owners in colder climates need to in order to avoid issues related to freezing temperatures. 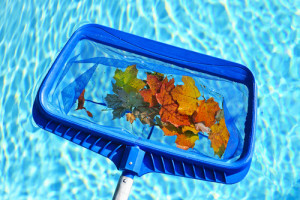 Properly winterizing a swimming pool will protect your investment and make spring opening much easier. Delay closing until the weather gets consistently cooler. We generally suggest that the pool be closed in mid-late October at the earliest. Ideally the water temperature should be below 65 degrees before winterizing. Clear up any problems the pool may have (algae, combined chlorine, cloudy water, etc.) before closing. Bring a water test in to our lab so that we can provide you with instructions to properly balance the pool (pH, Total Alkalinity, Calcium, etc.). Perform all housekeeping chores. Brush the walls, skim off any surface debris, and vacuum. Make sure all debris is cleaned out of the skimmer baskets and pump trap. Chemically clean the filter using Strip Kwik. If you have a Chlorine (salt) Generator, clean the cell using Mineral Springs Cell Cleaner. Add one Angry Egg per 15,000 gallons to thoroughly destroy any build up of contaminants. Wait until the effervescence has dispersed before proceeding with the next step. Always close with a BioGuard Winter Kit (if using chlorine) or follow our recommendations if using a different method of sanitizing (Biguanide or salt-chlorine generator). Our customers who consistently close with a Winter Kit seem to have fewer problems through the winter and at spring opening. With the pump running, add the Arctic Blue Shock from the Winter Kit (1 lb. per 6,000 gallons) and circulate 2-4 hours. Then add the Arctic Blue Algae Protector (16 oz. per 12,000 gallons) and circulate for one hour. If you have a winter cover, cover the pool. Circulate the pool on a timer at night or in freezing weather if it does drop below 32 degrees –OR– if you have a variable speed pump, keep it circulating a very low rate through the entire winter. Bring water in for a chemical check in our lab two or three times through the winter. In the rare event of a hard freeze, keep the pump circulating all the time—it’s much harder to freeze moving water! You can also throw several empty plastic milk jugs (with a few rocks in it so that it is halfway submerged) into the pool. This will protect the pool because the ice will crush the jugs instead of popping the tile or damaging the pool wall.